Kusog Bikolandia officers hold a meeting regarding their plans for the Bicol region. 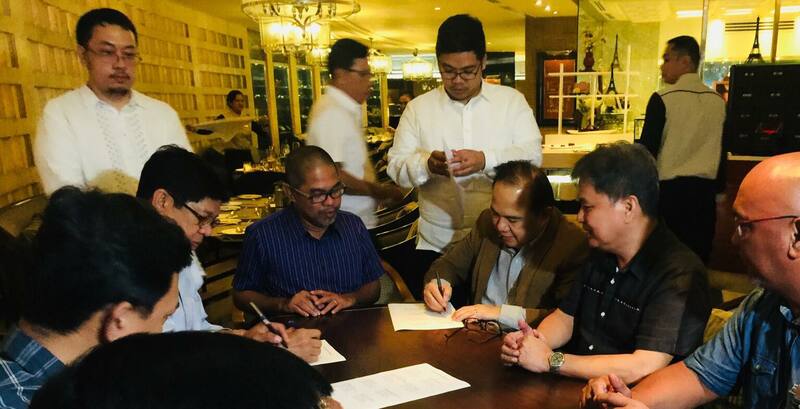 NAGA CITY (Bicol Standard) – A new regional political party that aims to spur inclusive and genuine socio-economic development in Bicol has recently emerged. 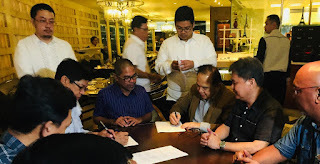 Kusog Bikolandia, which is headed by its chairman Noel N. De Luna, seeks to promote "development, empowerment, leadership, unity, nationalism, and autonomy." De Luna, a former broadcast, print media, and public relations practitioner, also previously worked as president and authorized managing officer of Wellconstruct, Inc.
“I envision Kusog Bikolandia to take the lead in promoting the interest of the Bicolanos, especially those at the margins of society,” De Luna said in an interview by the Bicol Standard. “This will be realized not only through the concerted and conscientious efforts of its officers, but also of the region which it serves,” he added. De Luna said he hopes this new initiative would bring genuine growth to the region. He further stated that they are presently evaluating possible alliances with other groups.